This recipe has been sponsored by I can’t believe it’s not Butter. All thoughts are my own. I love anything sweets. My husband is picky when it comes to desserts. But he does have one dessert that he absolutely loves. It is the only thing her wants for his birthday treat. Pound Cake. I love pound cake too, and I really love being able to switch up the flavors. Two flavors that go great together are blueberry and lemon. 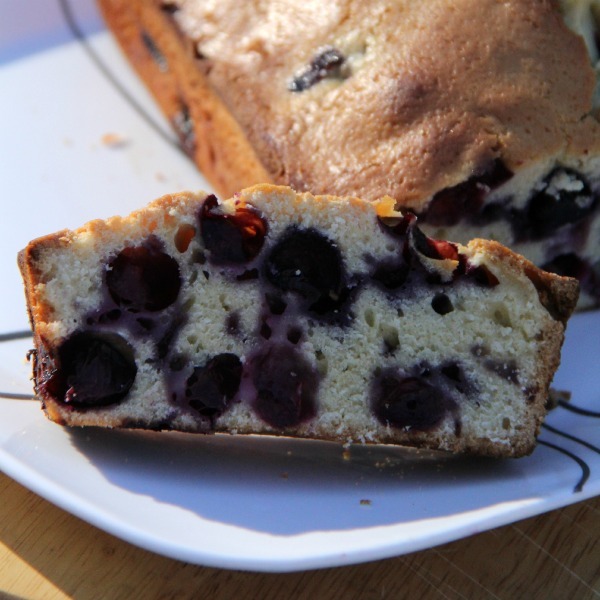 Making a blueberry lemon pound cake is pretty close to perfection. What is special about this recipe, is that it uses I can’t believe it’s not Butter. 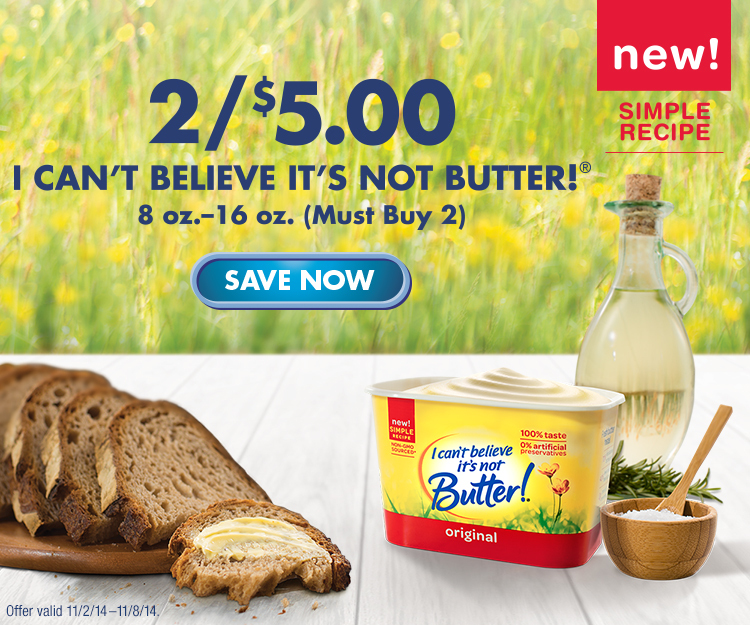 I can’t believe it’s not Butter uses simple ingredients and gives that great fresh butter taste. It contains no artificial flavors or preservatives and has 0 grams of trans fat per serving.. It is made with a delicious blend of oils, purified water with just a pinch of salt. 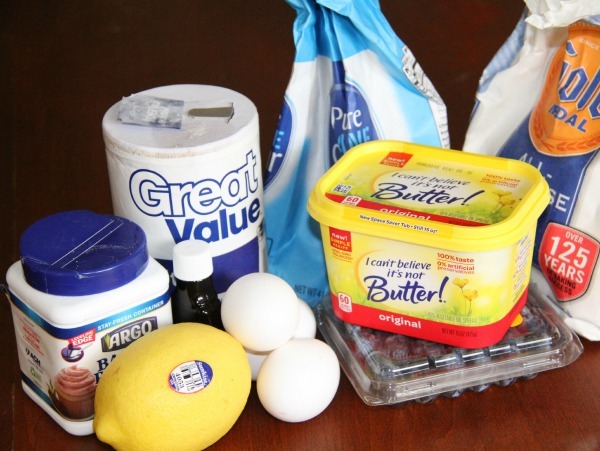 So I can’t believe it’s not Butter adds that perfect buttery taste to my pound cake. As a bonus, right now, when you shop at ShopRite and buy two I cant believe it’s not Butter! products you get it for $5.00 with a PricePlus Card. That is prefect since baking season is coming up fast. 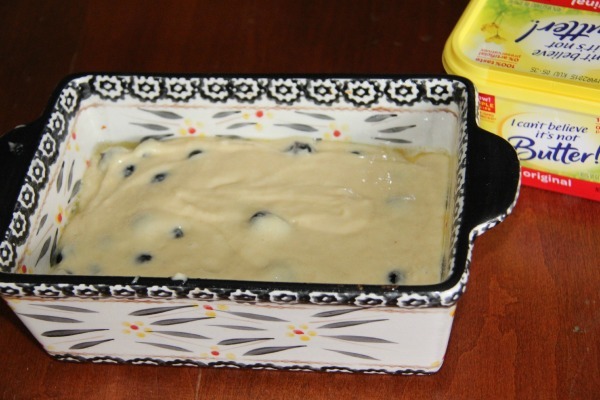 Spray 8-1/2 x 4-1/2 x 2-1/2-inch loaf pan with no-stick cooking spray for baking, or use grease and flour; set aside. 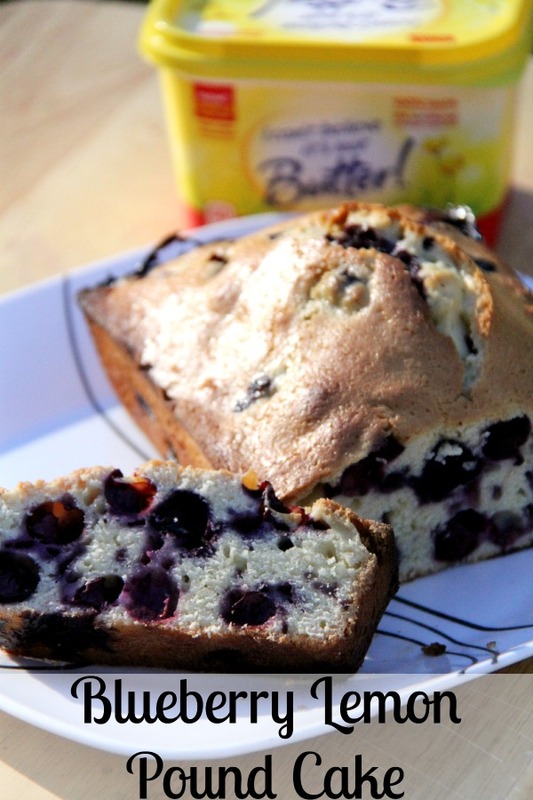 Toss blueberries with 1 tablespoon of the flour in medium bowl until evenly coated and set aside. Combine the remaining flour, baking powder and salt in medium bowl. Beat sugar and I Can’t Believe It’s Not Butter!® Spread with electric mixer on medium-high speed until it is light and fluffy, about 3 minutes. Add eggs, one at a time, beating well between each egg. Beat in the flour mixture until just blended together. Stir in blueberries and lemon peel. Bake 1 hour 10 minutes or until lightly browned and toothpick inserted in center of cake comes out clean. Cool for 10 minutes on wire rack then remove from pan and cool completely. Let me tell you, the smell of this cake cooking is enough to make you start to drool. It is hard to give it the amount of cool time it needs because you will want to start eating it. 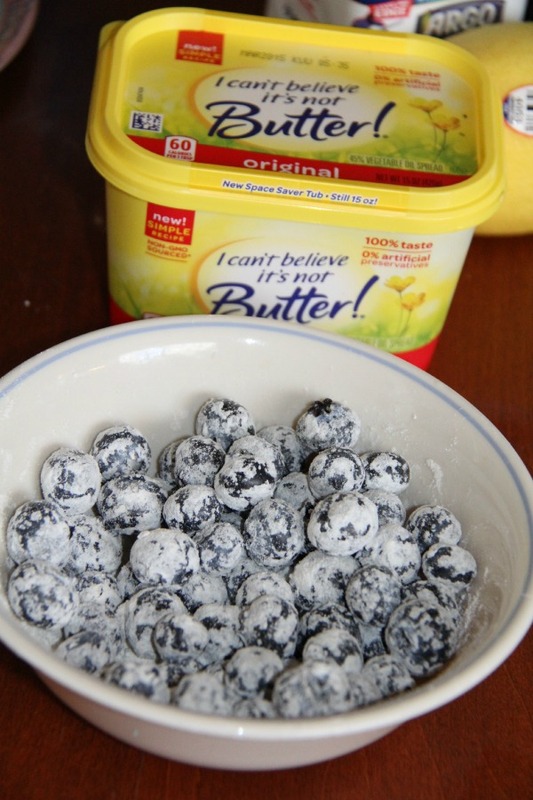 Have you tried using I can’t believe it’s not Butter in your baking? Have you tried any of the flavors available, Original, Olive Oil and Light?